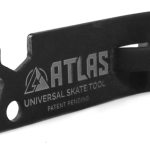 Atlas Truck Co’s new Universal Skate Tool keeps you prepared and packs light! 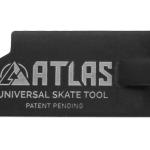 Atlas Truck Co dropped a new universal skate tool with an emphasis on longboards. It’s slim-profile fits easily in your pocket without shorting on any important features. 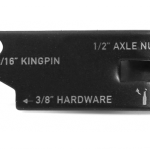 Atlas has included provisions for a 9/16″ kingpin, 1/2″ axle nut and 3/8″ hardware. 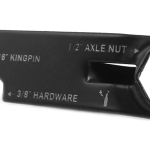 The axle nut socket is deep and angled in relation to the tool, allowing you to still get in there on sideset wheels. The hardware socket is open ended so you can get a bite without your trucks interfering. 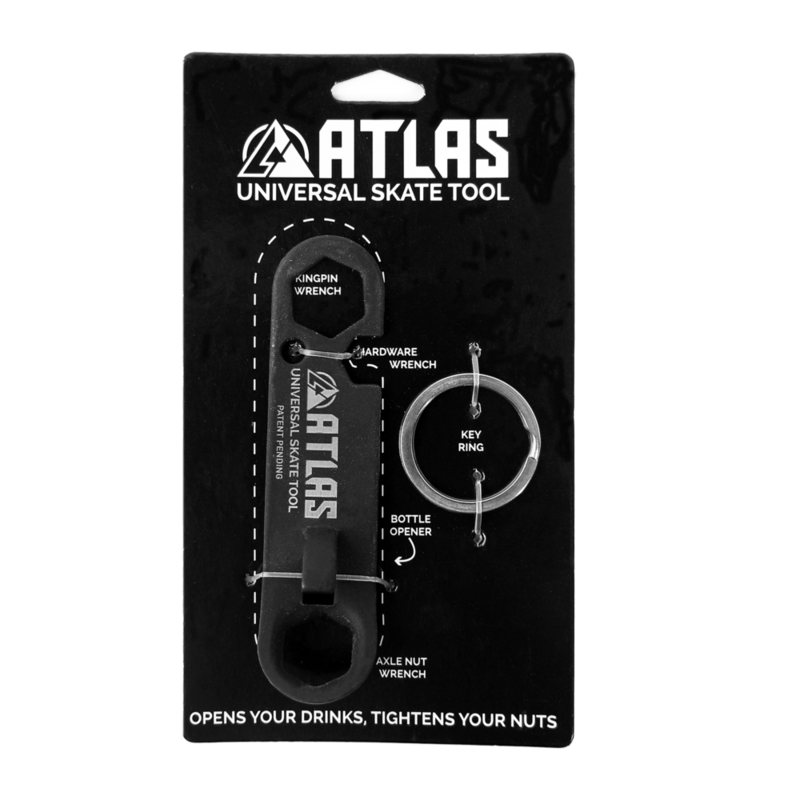 Lastly, Atlas included a bottle opener so you can stay refreshed and hydrated at the end of the hill. Hit the link and pick one up!